長距離高速バスより良いかも？ It might be better than long-distance expressway buses. 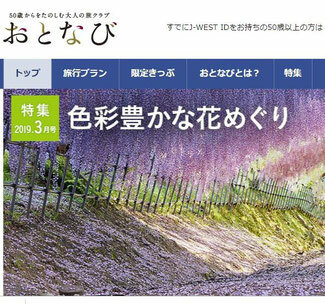 This is the web site for senior travelers by Japan Railway, where 50 or more year-old people can get discount tickets. I am to join the company reunion in Osaka next month in May, and I have bought my Shinkansen train tickets on line. The discount rate is as much as 60 % and the one way ticket using Kodama trains costs me only 3,310 Yen between Shin-Osaka and Shin-Onomichi.